With its rolling hills and perfect climate, Eastern Washington has always been—and likely always will be—the center of the state’s wine culture. Still, that fact hasn’t stopped winemakers from opening wineries and tasting rooms in and around Woodinville in recent years, making it easier for city folk from Seattle to decant a scant 20 miles from home. Now, a new group of urban wineries is taking root inside the city of Seattle, offering residents the chance to sip and shop without ever venturing outside the city limits. Ryan Pennington, public relations director for the Washington State Wine Commission, says urban wineries have the primary advantage of being closer to their customers. This proximity to a large population base may allow them to stand out in the increasingly competitive Washington wine world, which contributes $3 billion annually to the state’s economy and provides jobs for more than 19,000 people. More to the point: In 1981, the state had 19 wineries, whereas in 2011, that figure stands above 700, with about 30 now calling Seattle home. 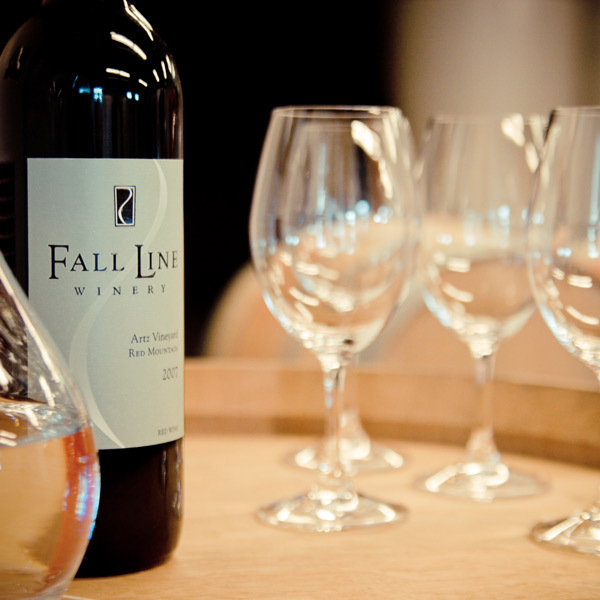 Tim Sorenson and his wife, Nancy Rivenburgh, started Fall Line Winery in Georgetown largely because of logistics, believing there is no particular advantage to being situated in Woodinville. Fall Line and five other South Seattle wineries—Nota Bene Cellars, Bartholomew Winery, Cadence Winery, OS Winery and Laurelhurst Cellars—have formed what Sorenson calls a “loose knit” group called South Seattle Artisan Wineries, which offers collaborative tastings and other events on second Saturdays from February to through August. Laurelhurst Cellars, begun in a garage by three friends in 2004, moved from Laurelhurst to Georgetown in 2007, making about 1,000 cases a year. Greg Smallwood says the location enables the winery to form meaningful relationships with serious clientele. Matt Gubitosa of Animale Wine makes about 2,400 bottles of wine each year in the basement of his Ballard home. To support the winery’s future, he has formed a “collective” that requires participants to pay $1,000 for a mixed case from each of the next five vintages. He credits benefits at the Woodland Park Zoo and local animal shelters with helping to spread the word about his wine, which features cat-related images on its labels.